A well-known authority on Maya writing and art. She received the Tania Proskouriakoff Award from Harvard's Peabody Museum for achievement in the study of New World archaeology and Maya hieroglyphs. 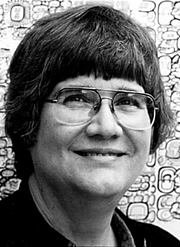 Linda Schele is currently considered a "single author." If one or more works are by a distinct, homonymous authors, go ahead and split the author. Linda Schele is composed of 1 name.